The 33-year-old finished in one hour 11 minutes and 49 seconds to secure ParalympicGB's 13th gold of the Games. "It's been a dream of mine since London 2012," he said. 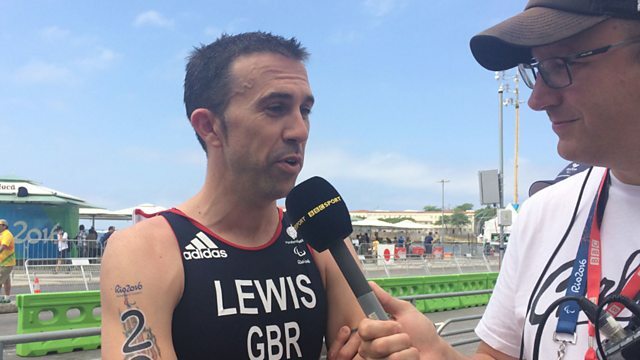 Lewis, a lower leg amputee, crossed the line on the Copacabana 41 seconds ahead of Italian Michele Ferrarin, with Morocco's Mohamed Lahna in third. Briton Ryan Taylor was sixth. This clip is from 5 live Paralympics, Saturday 10 September 2016.